A dream home may be within reach. Accredited Mortgage Services can help with investment property loans. Our pre-qualification process will ensure you are ready to buy and we can assist in finding the best real estate agent to meet your needs.! Not sure which program is right for you? Contact one of our specialists today! 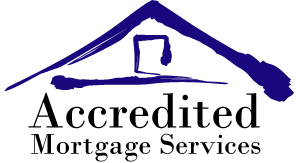 The Accredited Mortgage Services team can get you pre-qualified and find you the loan that best meets your needs. Find out how you can get pre-qualified today!